On 21-22 Jan 62 at 8.00-16.30 hrs. 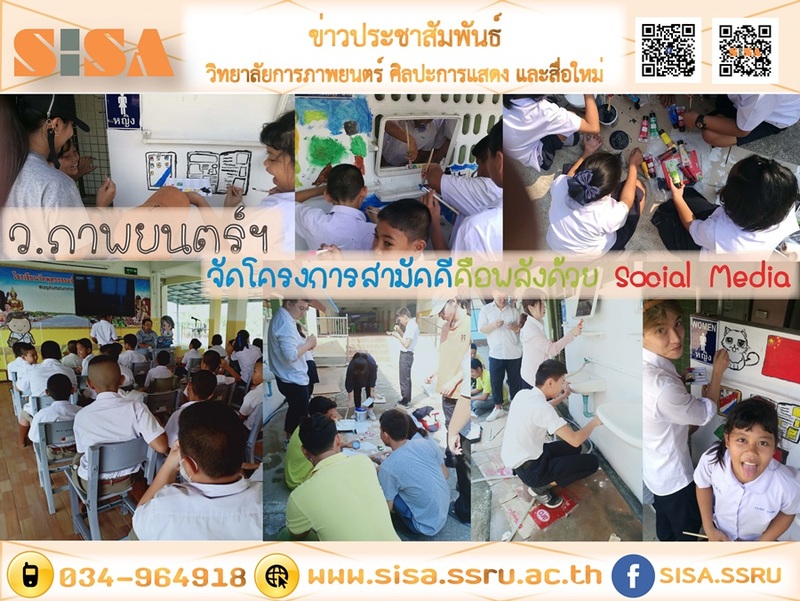 Ajarn Siridej Sirisomboon, Head of Creative and Digital Media College of SISA led the team of teachers, Thai students and Chinese students organize unity project with power by Social Media to give knowledge and understanding in using Social Media, creating unity and allowing students of Wat Phutthatham Rangsee School to divide the group to show creative energy by painting. Paint the bathroom. Have students and students join in fun activities at Wat Phutthatham Rangsee, Nakhon Chai Si District, Nakhon Pathom Province.